Why Diabetes Awareness Month Matters. 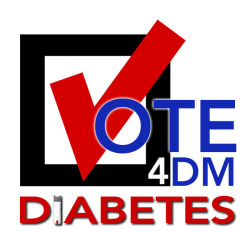 Saturday, November 1st marks the beginning of Diabetes Awareness Month 2014. I saw this video the other day, and part of it keeps coming back to me. It was when Kim Vlasnik said “My disease is not a punch line”. I’ve seen the video a few times now, and every time I hear that part I shift uncomfortably in my chair, thinking of a couple of moments in my recent past. I had shoved these memories deep inside, I thought, to the point where I didn’t think I’d be reminded of them (I’m good at sweeping these kind of things under the rug and moving on with my life). But watching that part of the video brought them to the surface again, and I’m having trouble shaking them. One was during my workday, while I was walking outside, on my way to have lunch by the harbor. The other happened on the subway, on my way home. In both cases, a sudden low hit me hard. I wound up on the ground on Baltimore’s beautiful harbor promenade, and on the disgustingly dirty floor of a subway car, struggling to maintain consciousness, mere moments from potentially losing my life. In both cases, no one helped or asked if I needed help. No one called 911. However, in both cases, at least two people got out their phones and started shooting video of the entire episode. People with good jobs, good clothes, and disposable income stopped what they were doing in order to commit my trauma to digital media before it was over. My medical emergency became fodder for their Facebook post or their Tweet or their ha-ha YouTube video. In my country, about ten times more people will be diagnosed with diabetes this year than will be diagnosed with breast cancer. In October, countless media outlets help promote marathons designed to help raise money for an organization that has, according to some reports (like this one), contributed as little as 15 percent of of its donations on research awards that fund studies on everything from hard-core molecular biology to the quality of breast-cancer care for Medicaid patients. In October, the White House was lit up in pink. In October, the National Football League sells pink accessories and pink jerseys and pink who-knows-what-else and donates a portion of sales to breast cancer research. The same thing happens in May as Major League Baseball tries to get in on the action. Meanwhile, people are using the near-death experiences of people living with diabetes as social media entertainment. I wonder how much this might change if diabetes received even one tenth of the awareness of breast cancer. This is only one reason why we need Diabetes Awareness Month. 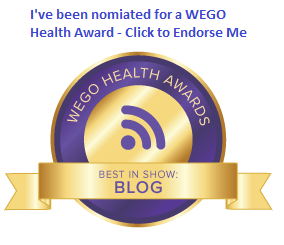 This is only one reason why we—why I—need the Diabetes Online Community. Ignorance does not look good in pink, or blue, or any other color. If you can’t do it for any other reason: As you take the Big Blue Test, form a human Blue Circle, or even think about performing some other measure of outreach or advocacy this November, please remember the importance of awareness. I know I’ll get over these brief moments in my life. But don’t allow anyone else to experience anything like this ever again. It’s Big Blue Test Time! Today marks the start of one of my favorite parts of the year. It’s Big Blue Test time! For the next month, every Big Blue Test that is logged will result in a $1.00 (US) donation to non-profit diabetes groups that are working tirelessly to provide education, support, and supplies to people who need them. 4. Share your results. (Answer the questions in the right column of the page at bigbluetest.org). And don’t forget to talk about your experience on social media. Tell everyone you know, whether they’re living with diabetes or not. Log those moments of activity throughout your day. Share this with everyone you know (use the hashtag #bigbluetest). Have you been looking for a way to help move the needle toward better outcomes for People With Diabetes, but you’re not sure how? This is how. I’ve already logged my first one! I took the long way walking from the train station to work, and my BG dropped 53 points. I’m going to try to do this every working day (twice per day, of course) for the next month. I’ll bet there’s something similar you can do where you live and work. Sometimes, diabetes advocacy is both fun and easy. Go to bigbluetest.org to find out more.